Watching the waves from my room at Black Rock Oceanfront Resort, it’s easy to see why British Columbia’s wild west coast draws explorers, storm-chasers and surfers. Unlike typical Caribbean beach holidays—where you'd expect to find beige sand, translucent water and tropical palm trees—this oceanside destination overlooks a frothy swell of white-capped waves that crash and slide over dark rocks. On the horizon, moody grey clouds part to reveal the rising orange sun, which highlights the tips of pine and cedar trees. It’s a unique view that I'm mesmerized to wake up and fall asleep to. But it’s a disservice to the island to spend your entire time looking away from it. 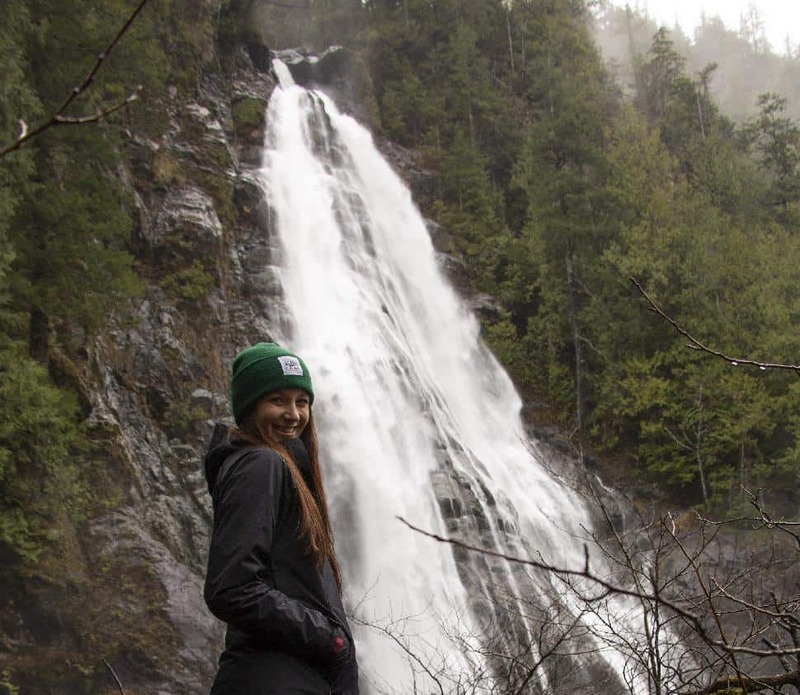 With the help of Black Rock’s Marketing Communications Manager Melissa, I turned my back to the ocean and headed inland: to the lakes, rivers and waterfalls all within a day’s drive from Ucluelet. Armed with our Backroads Mapbook—her “bible,” Melissa called it—we took choppy gravel roads to Kennedy Lake. After parking her Jeep at the trailhead, we wandered down a wide road towards the shore. We popped into the shaded forest, following a slippery boardwalk over moss and wet leaves to Rainbow Beach. 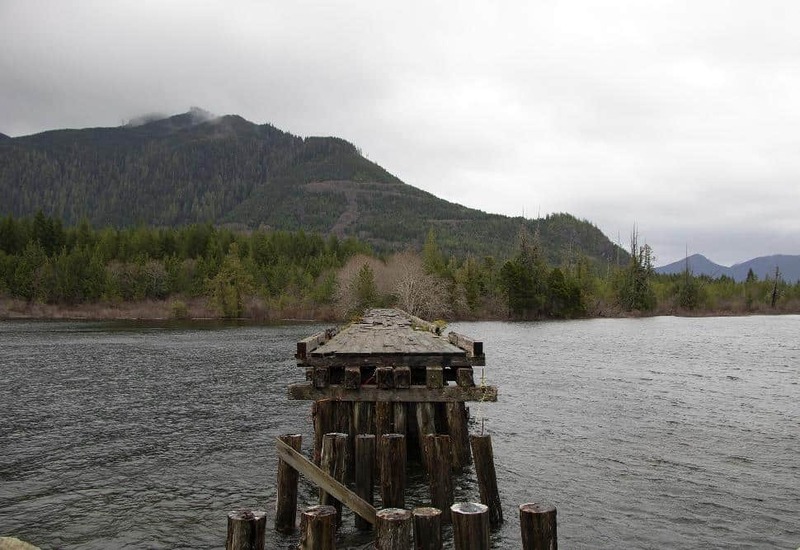 Further along, we faced the wind towards the broken second bridge, which crosses the largest lake on Vancouver Island. “In the summer, it’s common to boat and camp here,” Melissa told me. But even the winter weather wasn't dissuading explorers—we passed two campers and their adventurous kitten returning from a night in the woods. And they were. Not only bigger, but massive. After nearly planting our wheels in a cavernous pothole, we made it to the end of the road and trekked to the falls. Freezing cold water rushed beside our feet. We picked our way through the overgrowth. Yellow leaves, red branches and green trees painted the rainforest in a colourful array of fall foliage. 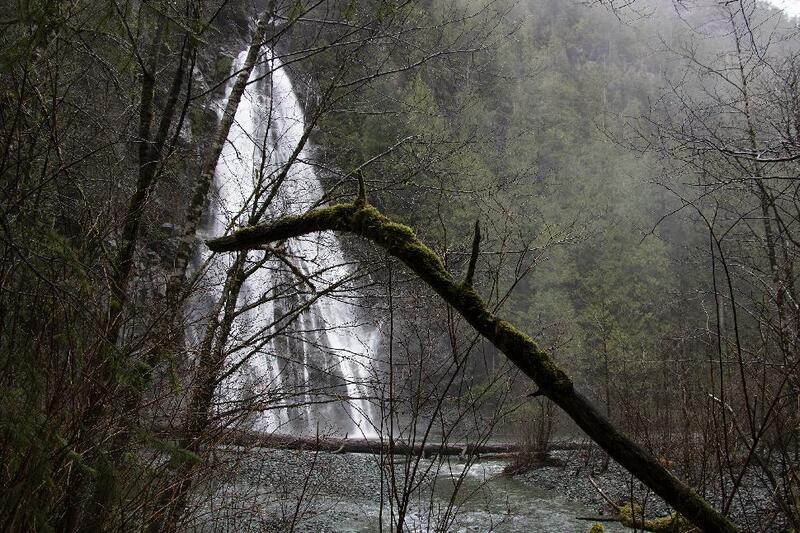 Fallen logs and tree trunks comprised our unbeaten path to the left side of the waterfall. Rushing white water split in two like pigtails, cascading over the black rock and dark moss. With no other people, traffic or signs of activity, we absorbed the mist spraying from the falls and listened to the pounding water. I felt content to be far from civilization and exploring on island time. After a full day of adventure, I didn’t want anything more than to warm up and relax. 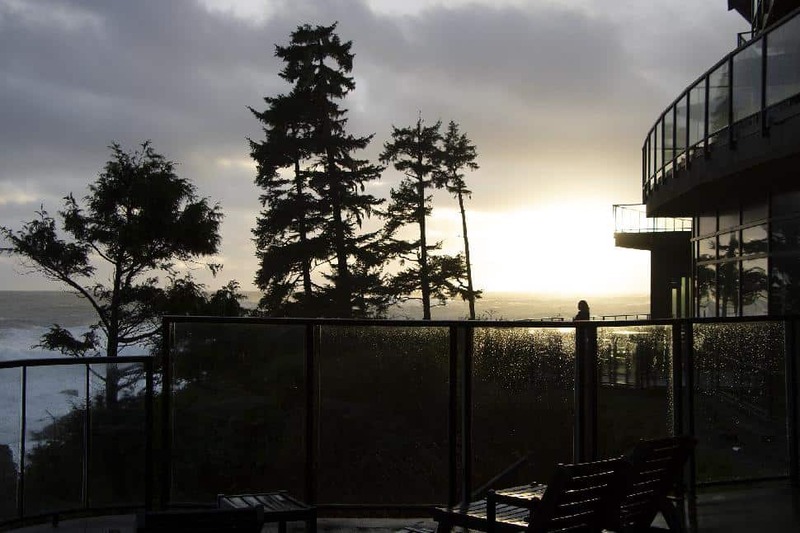 Black Rock Resort delivered: I stayed in a luxurious one-bedroom suite with full kitchen, living room, fireplace, separate bedroom, soaker tub and floor-to-ceiling windows with views of the wild Pacific Ocean. I donned my bathing suit and sank into the hot tub on the patio, which overlooks the waves, before indulging in Vichy water therapy and a seaweed polish in Drift Spa. The seaweed is locally harvested from the salty waves outside. 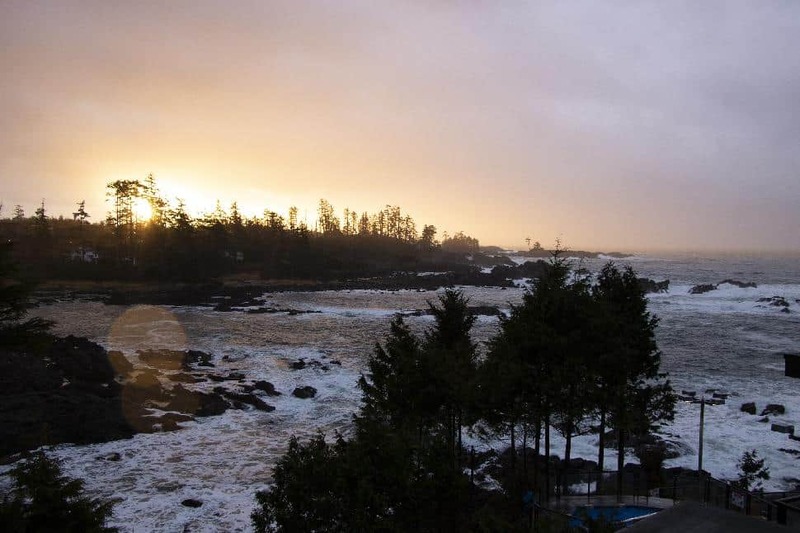 Falling asleep to the sounds of crashing waves and gusting wind outside my warm, comfortable room was the perfect way to end a day of winter adventure in Ucluelet. 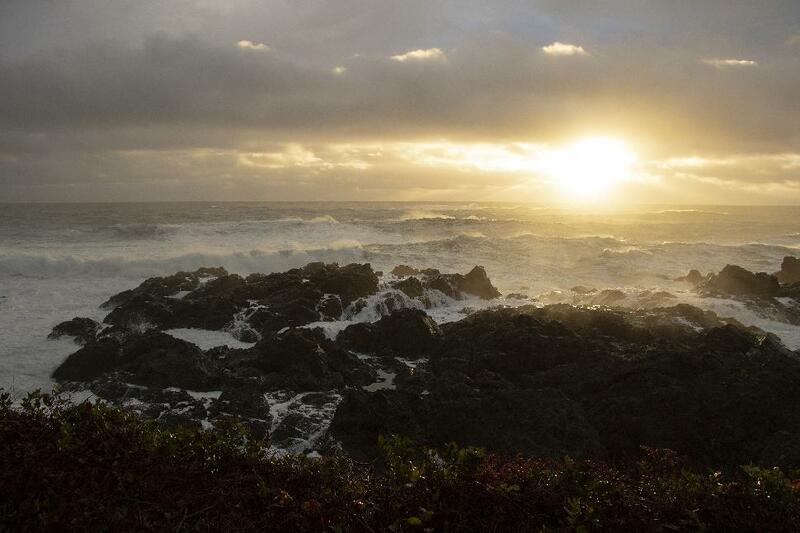 There are a ton of options for outdoor adventures near Ucluelet. 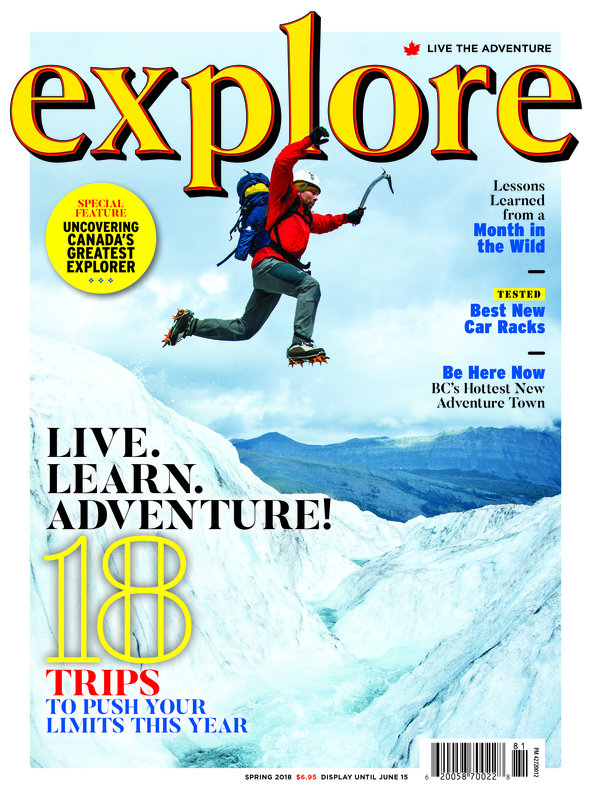 In the winter, explorers can storm watch, snowshoe, toboggan and snowboard Sutton Pass along Highway 4. In summer, WestCoast Wild opens its zipline over the raging Kennedy River Canyon. 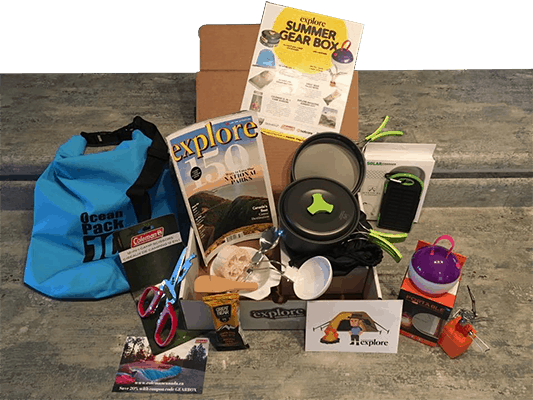 Backcountry hikers prepared with a map and compass head up 5040, Triple Peak and Pogo Mountain for spectacular views. The Wild Pacific Trail leaves right from Black Rock Resort, although it was closed while I was there due to heavy winds. She was right. From the culture and history to the massive expanses of nature, two nights simply wasn't enough. Before I even left, I already started planning my next trip to Black Rock to see more of what the area around Ucluelet has to offer. 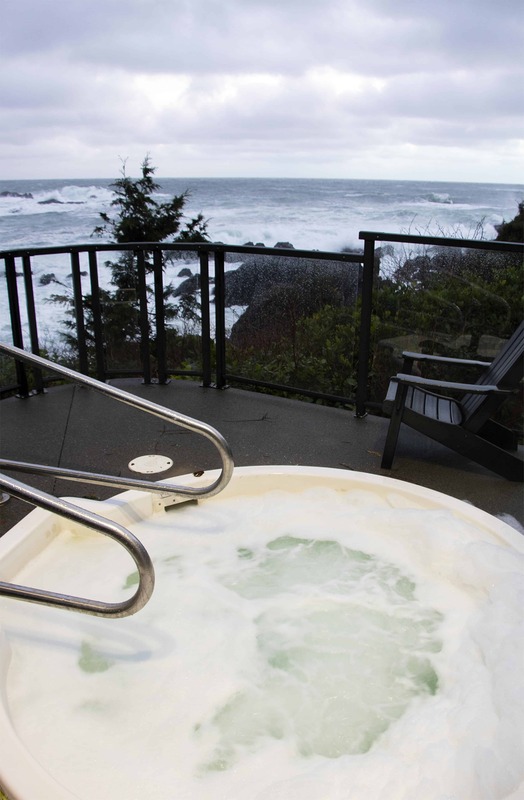 Black Rock Oceanfront Resort has 133 rooms including studios, one-bedroom suites, two-bedroom suites and cabins. 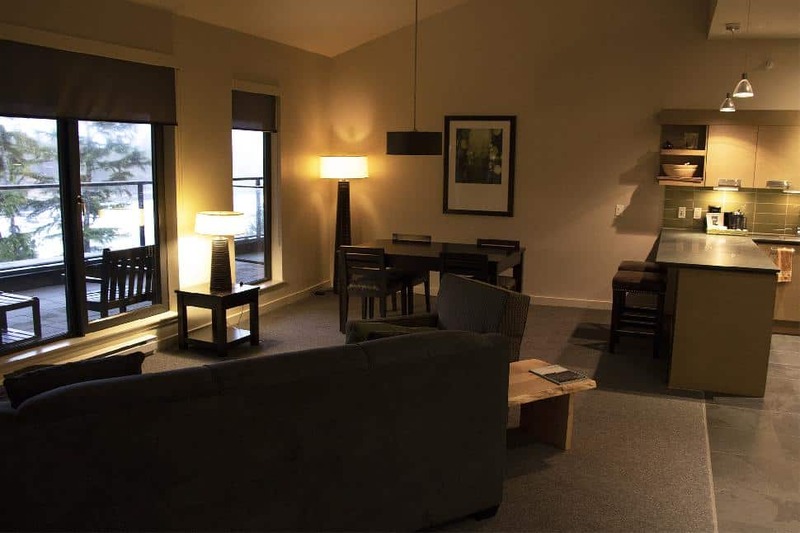 All rooms have cooking facilities and fireplaces. 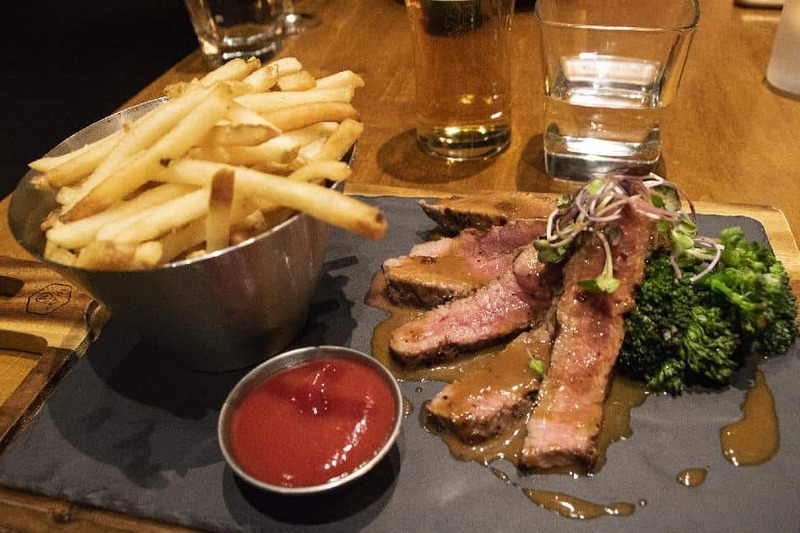 On-site, Fetch Restaurant serves breakfast, lunch and dinner. Float Lounge has live music on Thursday nights. Wild Bean Cafe is open in the mornings for pastries and coffee. The resort boasts a wine cellar, boardroom for corporate retreats and ballroom for events. Watch for lower rates and specials in the storm season. Plus, you'll be treated to vacant beaches, less traffic and more relaxation. This article was brought to you by our friends at Black Rock Oceanfront Resort.